1. 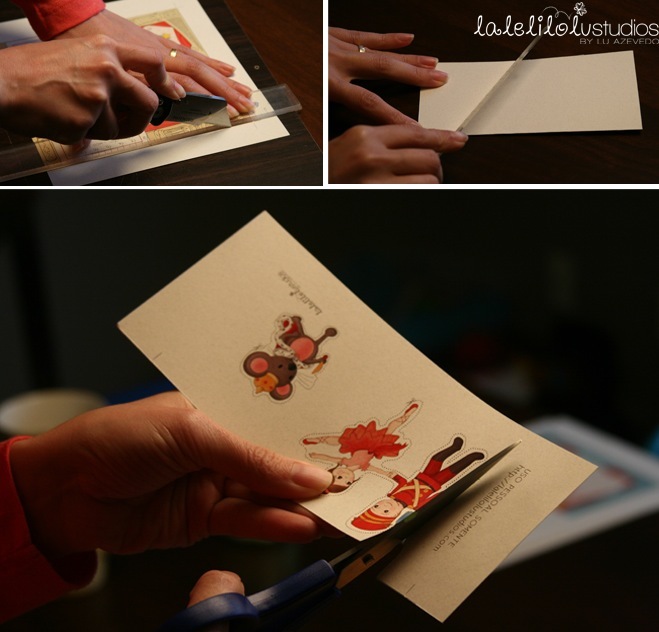 You will need: a pair of scissors, two 8 1/2 x 11 in paper cards, pencil, glue and a paper knife if you have one. 2. 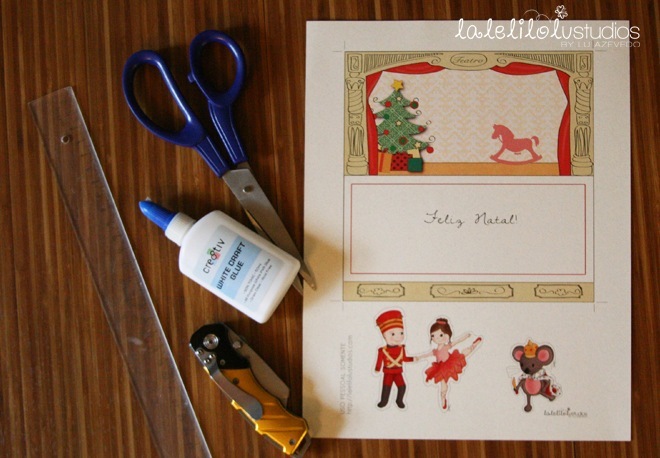 Start by cutting around the card and the characters. 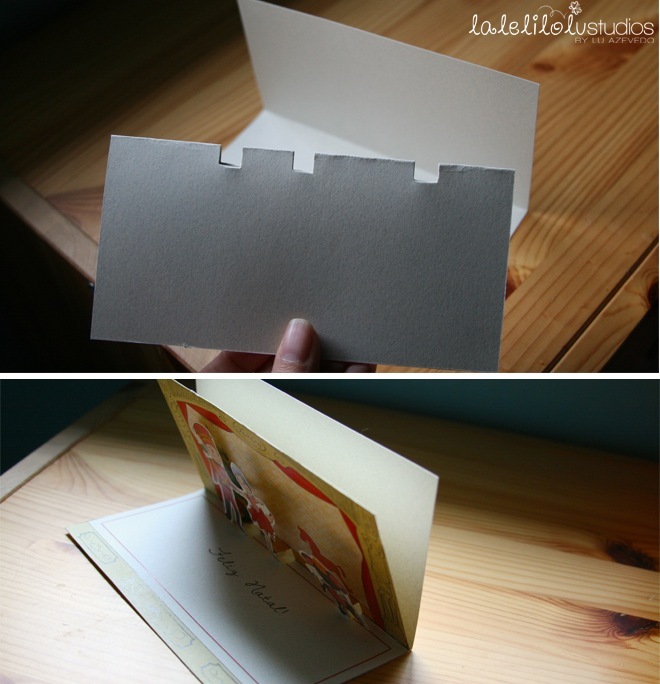 Fold the card in half. 3. 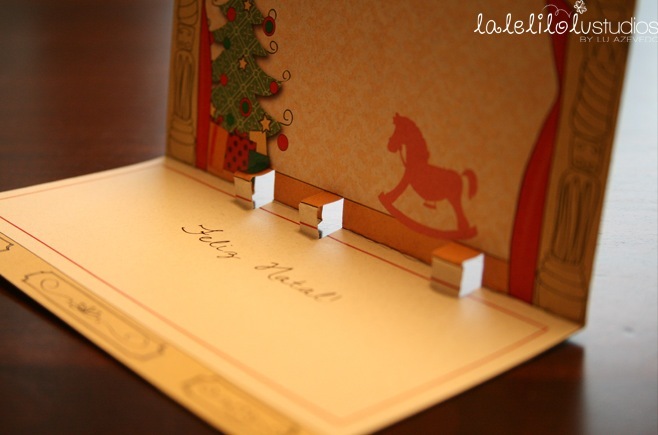 Flip the characters down and mark pairs of parallel lines with pencil where you want to display the pieces. 4. 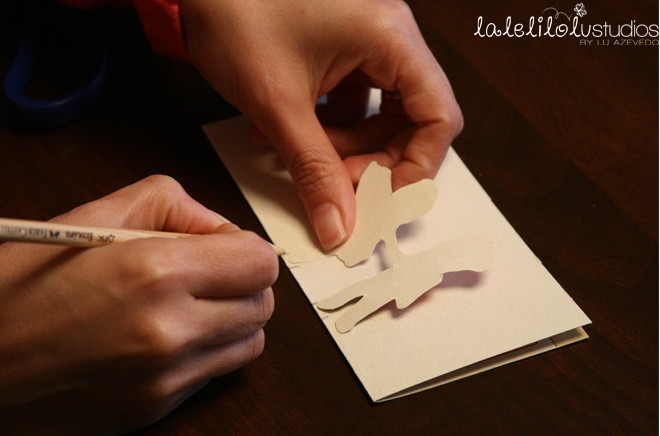 Cut the lines in pairs of the same length. 5. Push the flaps forward. Their length should be something around 1 and 2 cm. 6. 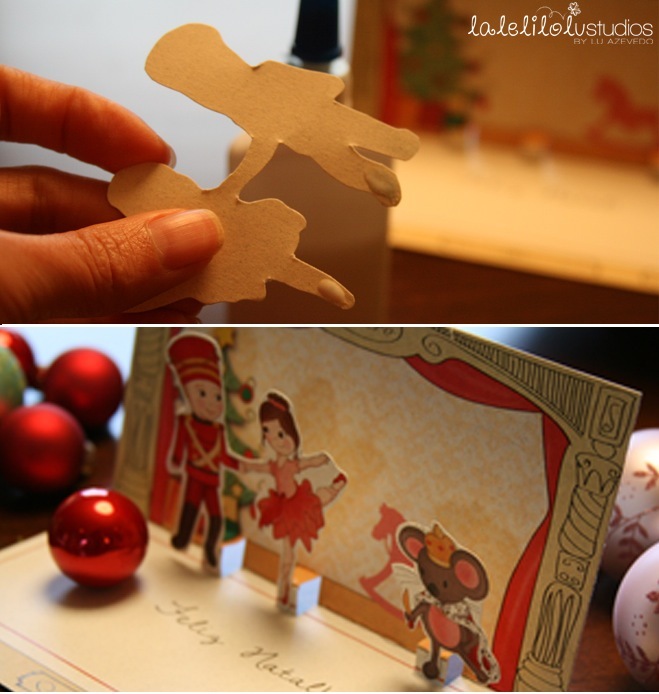 Stick the characters with paper glue onto the front (not top) part of the folded out flaps. 7. 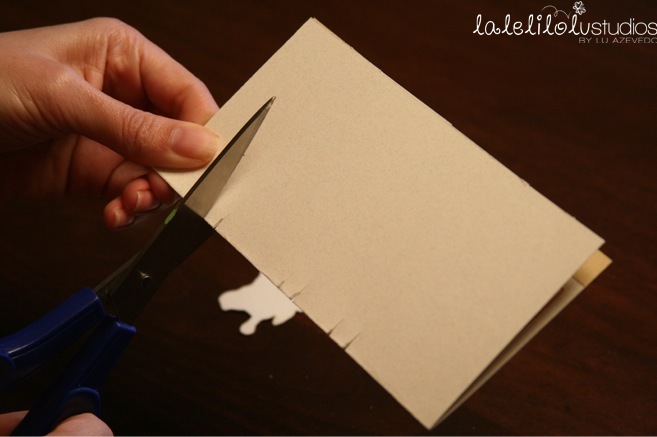 Use a second card and glue it on to cover the outside.